-These. I don't know what to call them -- peanut butter-cup-stuffed Oreos? Such a mouthful. Isabel made them with her aunt and cousin and they were waiting when Mark and I arrived in Massachusetts. Delicious and so rich that one bite sufficed. But what a bite. One of these summers I need to dedicate myself to exploring New England coastal cuisine. On the surface it all looks so mainstream -- chicken fingers, buffalo wings, chili -- but then you look closer and see the kale soup and chicken Mozambique. Next year. We collected our children from their grandparents and tonight we're taking another redeye, this one from Boston to London, for the second part of our vacation. I hope you have a wonderful vacation! I will wait patiently for your return post. Sad about the raspberry fizz. 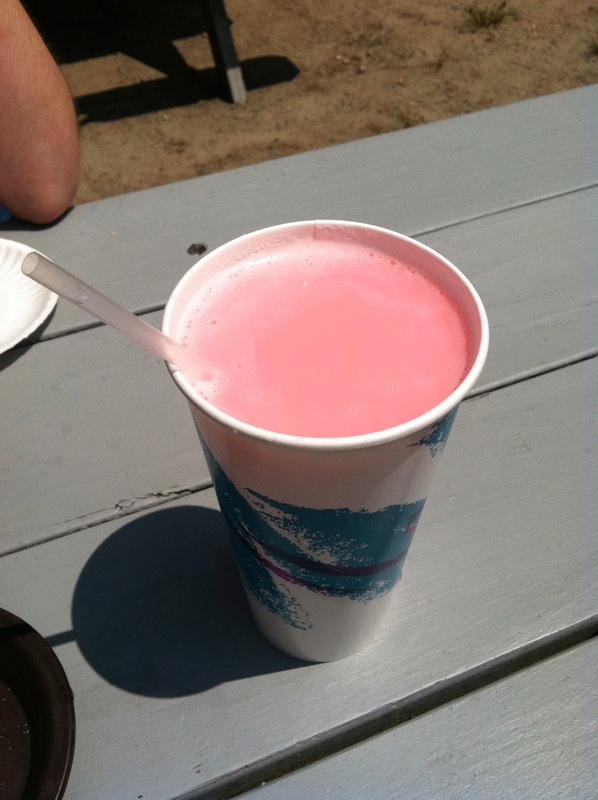 It looks like a strawberry lassi. 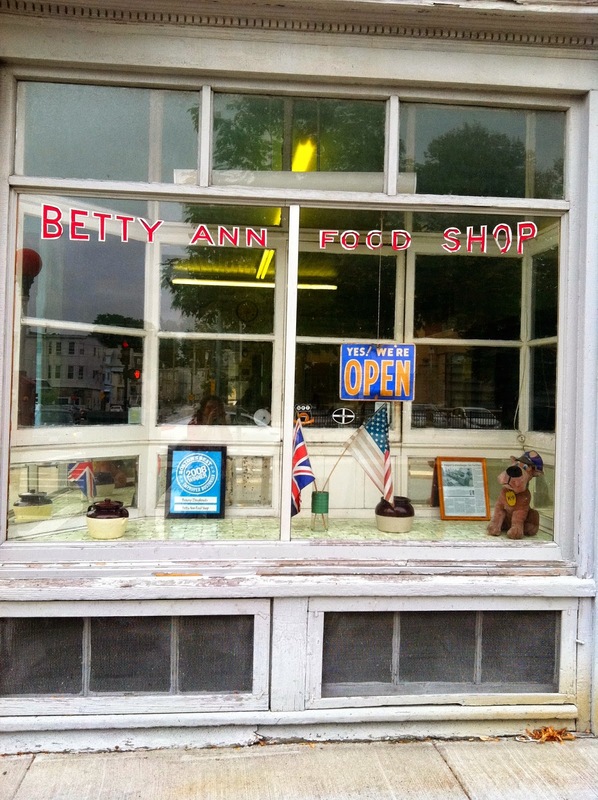 I will have to have my sister-in-law go to the Betty Ann Food Shop and report. I'm sorry we missed you in Mattapoisett/Marion -- again! I want to do a lobster roll taste-off with you. I've never tried the ones at Oxford. My winner is the roll at Chowder House in Mattapoisett; runner up is at Turks, also in Mattapoisett. Next summer? Do not overlook the glories of Connecticut lobster rolls!